these guys at winfield have a consistently solid record of producing apps that are well designed and unique in some way. 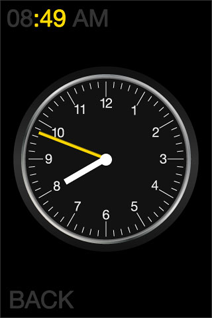 this clock app is no exception. inspired by dieter rams watch and vitsoe designs from the 60s, its correctly on target. includes more than the usual alarm settings, such as mult sounds, colors. you set the clock and alarm by moving the hands! simple, clean and modern minimalism at its best.